When building community amongst ourselves, I feel it’s important to plant connections and be in dialogue with those you have shared experiences with, while also embracing the beauty of difference that can exist amongst collective gathering. Community can start with gathering for food on a certain day of week, starting a collective book club, or even just being intentional about making/creating space for meaningful connections with those already around you. Black Girl In Om (BGIO) is a model for the kind of intentional community that we want to cultivate. 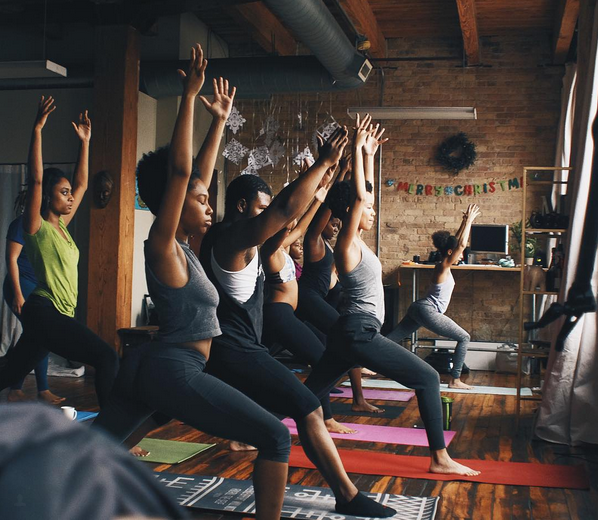 Helmed by Founder and Creative Director Lauren Ash and Art Director Zakkiyyah Najeebah, BGIO "promotes holistic wellness and inner beauty for women of color" through a thoughtfully curated online publication and diverse wellness workshops. BGIO's multifaceted approach to creating spaces for women of color to connect to their body, mind, and soul is rooted in a profound commitment to seeking out life-affirming experiences. Their varied content—from mindfulness podcasts to pop-up suppers—provides women of color with multiple outlets into exploring inner beauty, community making, and self-care. Loam spoke to Art Director Zakkiyyah Najeebah about BGIO's visionary approach to holistic wellness and passion for shared narratives. Zakkiyyah's advice on community making is particularly transformative, especially for those of us looking to carve out meaningful communities at the intersection of art and environmentalism. BGIO is committed to creating a space for women of color to breathe easy. 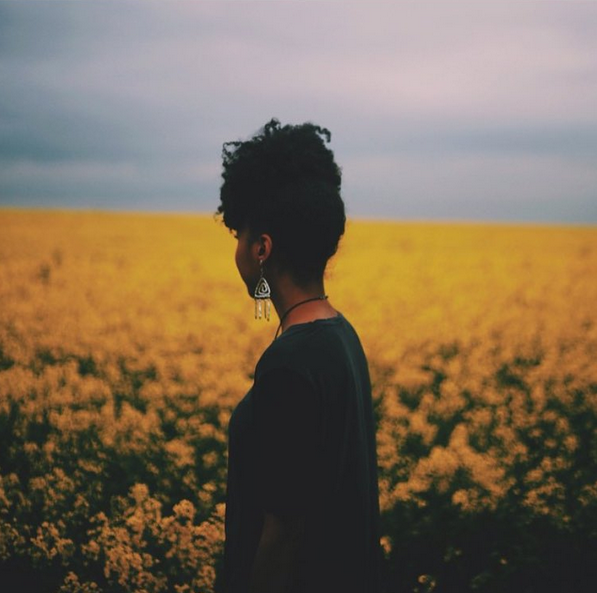 How do you use BGIO to share women's stories, encourage mindfulness, and celebrate beauty? One of the goals that Lauren and I are very much intentional about is visually conveying women led narratives, mindfulness, and inner beauty. Our publication has been one of our prime commitments to making sure that these narratives are told and shared with our growing community. In regard to celebrating beauty, we strive to share positive and meaningful imagery of black women on our social media platforms, valuing the importance of representation. Our intentionally curated wellness gatherings are also used to support women in sharing their experiences in community with other women. These shared narratives often times encourage mindfulness and self/collective empowerment. We engage in open dialogue at our events (such as our BGIO Happy Hours) or participate in reflection (such as our yoga events) as a means of affirming the various definitions of inner beauty and self empowerment with women of color at our events. Zakkiyyah, what made you realize you needed to be a part of this and what steps did you take to connect with Lauren? What has it been like collaborating and in what ways has your relationship evolved? [NOTE: Lauren and Zakkiyyah met through BGIO after Zakkiyyah reached out to Founder and Creative Director Lauren Ash]. When Lauren and I met for the very first time, she shared her vision about a wellness brand/publication that would lend itself as a tool for empowering black women/women of color to affirm themselves through wellness practices and inner beauty. Due to a lack of women of color voices/faces represented throughout the wellness industry (yoga spaces included), Lauren wanted to create the alternative, in what was introduced as “Black Girl In Om”. After hearing her story and vision, I was immediately drawn in and had to be a part of it. As she spoke, I was already visualizing ideas for a BGIO specific brand and image, and could feel the need that Lauren was responding to. I myself have always been supportive of fellow black women creatives, and empowerment initiatives in regard to black women. I knew that this community would grow beautifully and assist in cultivating positive lifestyles for women of color. From then on, I was asked to join Black Girl In Om as Art Director, which was the beginning of a meaningful partnership and friendship between the both of us. What have been some of your most treasured experiences since launching BGIO? Was there an event that affirmed for you that "yes this is it" or a conversation with a participant that clarified what you do? Anytime we’ve experienced someone sharing that BGIO has had a transformative impact on their life or with a particular experience, it affirms that feeling of “yes this is it” and that our mission and reach is bigger than just Lauren and I. I would say that our experience traveling last year to NY and DC definitely informed our perspectives about the ways in which BGIO can empower women in spaces nationally and internationally. Both Lauren and I are very passionate about expanding the mission and vision of BGIO in a way that is tangible beyond our reach on social media and our online publication. What we experienced during those trips was a close connectedness with the shared experiences and narratives of other women of color. It was very much transformative because it broadened the necessity and urgency of having safe and affirming space for women of color to gather collectively. I also think that the diversity of women of color we interacted with also highlighted that our reach is inclusive of many women from different class, career, and cultural backgrounds. What advice do you have for women who are hungering for community? How can we create these spaces for connection in our own lives, in our own cities? What does “community” mean to me, how would I define it? What gaps or necessities am I aware of concerning others and myself? Who are the folks that I share values with?